It depends on the court. Some say severance is a wage, because the term “wages” includes dismissal pay. Others say severance is not a wage, because it is not “earned.” When they’re not wages, courts typically treat severance payments as a contract claim. Stock is an actual share of a company. While it may be subject to certain restrictions and agreements, it is typically what you receive when you make a direct investment in a company, or what you are issued as a founder at the formation stage of a company. Most importantly for stockholders, they share in the company’s upside and get to vote for directors and certain major transactions. What are Incentive Stock Options or ISOs? These are a type of option to purchase stock. You may hear them referred to as “Qualified Stock Options,” as they have a particular tax benefit upon exercise. There are a number of terms and conditions that an option must meet in order to qualify as an ISO, and thus, there is some limit to their use. When you own an ISO, you do not actually own stock until you exercise the option and purchase the underlying share. What are Non-Qualified Stock Options or NSOs? These are another type of option to purchase stock. They do not qualify for the same tax treatment as ISOs, and have a particular tax treatment upon exercise. Because of their tax status, holders of NSOs must jump through a number of hoops in order to maximize the benefit this form of compensation can provide. Much like an ISO, when you own an NSO, you do not actually own stock until you exercise the option and purchase the underlying share. What help can I receive in complicated and difficult executive terminations? What can I claim for? In an event of a problem or disagreement surrounding either termination or the severance package, it is advisable to contact an attorney. They can offer consultation on your contract and ensure that you receive fair payment. You can potentially claim for loss of position, disruption, unemployment, and harm to career. Is Say on Pay Binding? Say on Pay is an advisory vote and is non-binding, meaning the company is not necessarily required to change pay practices. Golden Parachute payments that are subject to shareholder review are also non-binding. Is Say On Pay the same as Pay for Performance? Are the non-compete rules in Massachusetts changing? Currently, there is a proposed piece of legislation that will limit non-competes to six months. There has been some debate over whether Massachusetts should move to a California-style system—where non-competes are abolished and intellectual property is protected by the Uniform Trade Secrets Act—but, for the moment at least, Massachusetts strictly enforces non-compete clauses. The proposed move to limit them to six months is a slight shift away from the stricter non-competes but still a far cry away from the Californian system. If you are an executive with a non-compete clause, it is still worth being very careful when you change companies. I am an executive without a severance package who has been terminated. What payments am I entitled to? Are executive employees exempt from minimum wage and overtime pay? Who counts as an executive? In nearly every case, yes. To be considered an executive, the employee must meet all of the following test: 1) be compensated on a salary basis more than $455 per week 2) duty must be managing the enterprise or subdivision 3) must regularly direct the work of two or more full-time employees 4) must have the authority to hire or fire employees. Should I seek a retention bonus? A retention bonus is offered to an employee to help keep them at the company when it experiences a considerable change in leadership or ownership. A retention agreement can also help negotiate exactly what your new role and payments will be. A retention bonus isn’t always necessary from the outset–frequently one will be offered to you during a takeover–but it is a nice security and incentive to have. What should I expect to happen to my compensation going forward? During the current “Say on Pay” era, absolute executive pay has not changed too much (although pay growth has slowed), but it has shifted towards lower base salaries and placed more emphasis on pay for performance. Expect this to continue in the future. Companies will evaluate whether the targets are being set appropriately as they begin to fine-tune “Say on Pay.” Closer attention will be paid to absolute pay levels with perhaps greater importance given to long-term performance compensation. If I receive a low Say on Pay approval, can I still receive my original compensation package? For the moment, yes. Say on Pay is non-binding, meaning the shareholders votes do not have to dictate the terms of your package. There have been several attempts at lawsuits when this has happened, but so far the courts have recognized the non-binding nature of Say on Pay. These are actual shares of stock that an individual owns, but subject to certain restrictions. Typically, the restrictions lapse over time, resulting in the stock vesting. The tax treatment of these vesting events can be complicated, as vesting can trigger ordinary income, and thus restricted stock holders often make an election under Section 83(b) at the time of grant. Phantom stock is not real stock. It’s a contract that grants the individual many of the same benefits of actual stock ownership, but without transferring the actual stock. Thus, for example, if the actual stock increases in value, the phantom stock holder would benefit from the increase, as though the holder actually held real stock. Like phantom stock, a SAR is not actual stock. Rather it’s a contract that typically grants an individual the right to receive a bonus or other payment equivalent to the increase in price of an actual share. As an executive, should I negotiate a severance package up front? Typically the answer is a resounding yes. Should a company want to fire you without just cause, it is beneficial for the employee to ensure that the company has to buy out your contract. Your lofty position as an executive usually means you have the standing to negotiate a severance package. Be warned, however, that these “golden parachute” payments are becoming less lucrative. What is Say On Pay? “Say on Pay” is a term used to describe the process where a firm’s shareholders have the right to vote on compensation afforded to executives. It is intended to limit compensation by not awarding executives too much money. The shareholders review the CEO, CFO, and the next three highest paid executives. A new “Say on Pay” provision, Dodd-Frank, was introduced in 2010. What is Dodd-Frank and how does it affect me? The Dodd-Frank Wall Street Reform and Consumer Protection Act was enacted in January 2011. The most relevant part of the act for executives is the “Say on Pay” proposal. Subtitle E focuses on executives and states that, at least once every three years, a public corporation is required to submit to shareholder vote the approval of executive compensation. Shareholders may also disapprove golden parachute payments. 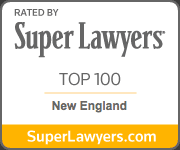 What are the non-compete rules in Massachusetts? Massachusetts will enforces non-compete clauses in certain instances. That often leaves executives guessing, and some believe that this has a significant effect on the start-up industry within the state, where movement can be limited compared to states such as California. The rule is designed to protect the employers and to stop employees aiding rival companies or even starting their own companies. Non-competes do not ordinarily transfer across states. Are executives covered by the same laws as normal employees? Yes, except for minimum wage and overtime laws (see below). Otherwise, an executive employee has the same rights of every other type of employee. This means they may brings claims for nonpayment of wages, unreasonable detention of their salary, or retaliatory acts no matter how high they are compensated. Does executive compensation count as earned income? Yes. The Massachusetts Wage Act protects compensation to highly paid executives, including contingent pay. If compensation is owed to you, this may count as unpaid wages under the Wage Act. Should I protect myself against a change of control? A change of control agreement protects the employee when a company experiences considerable change. It is usually advisable to protect yourself against this, even though it can be a difficult negotiation. It can also help you avoid tax and security consequences. Will I face greater scrutiny from the board over my pay? What effect does this have on any potential compensation? We’ve found that since “Say on Pay” was enacted, shareholders have placed greater emphasis on managing executive compensation. In general though, executives and shareholders have worked together to produce more disciplined target setting and enhanced disclosure of “pay for performance.” However, in the future, watch out for investors paying closer attention to absolute pay levels and further limiting compensation. The Sarbanes Oxley Act allows the SEC to require “clawbacks.” A clawback policy is when the SEC can recover compensation given to executives in cases where they have been found guilty of committing fraud or other misconduct. A clawback policy is mandatory under the Dodd-Frank Act. My company is doing something illegal. Am I protected if I report them? Section 922 of Dodd Frank is included to encourage and protect whistleblowers. Firstly, you can get a reward if you report original information to the SEC that leads them to recover money. More importantly however, Section 922 provides protection against anti-retaliation. Your company is not permitted to take any kind of action against you for providing information to the SEC.